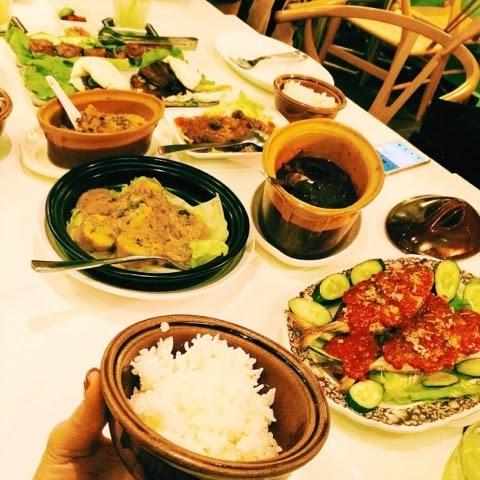 Peranakans have always been known to be good culinary chefs. 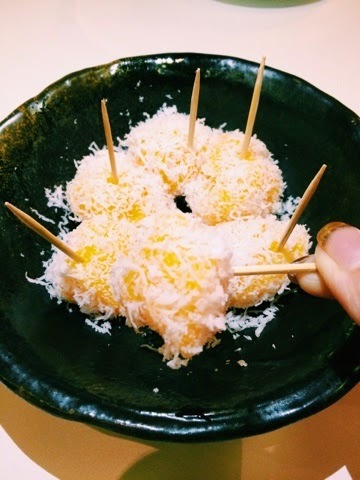 A cuisine that we true blue Singaporeans are familiar with especially after the 小娘惹 (Little Nonya) series on TV. 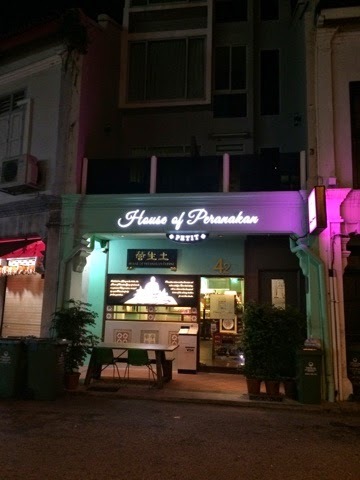 House of Peranakan Petit is a new addition amidst the modern swanky cafes along Tiong Bahru. Why Petit? 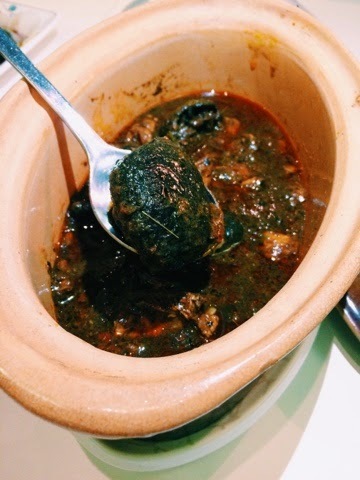 This third outlet is only a 30-seater restaurant in a modern Peranakan setting. Food was served! Yay! I was brimming with so much happiness seeing the delicacies being served. 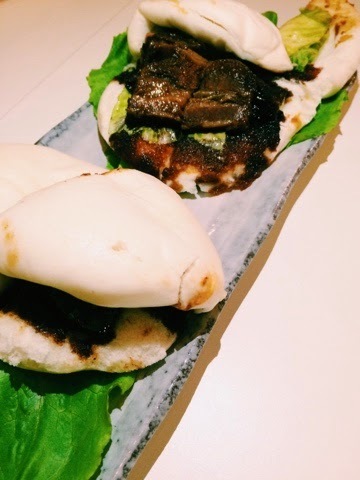 Caramelised Braised Belly Pork slow cooked for hours to perfect tenderness then served with steamed white bun together with lettuce and coriander leaves. One bite, you could feel the juiciness of the meat oozing out. Definitely the best comfort food after a stressful day. 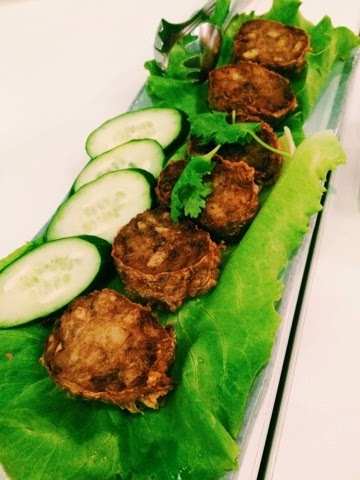 A must-have dish, Ngoh Hiang ($12). Juicy, minced pork and prawns, combined with water chestnuts, carrots, turnips and onions, deep fried. Crispy flavourful Ngoh Hiang is best with their sambal chilli. If you are into spicies, sweet sauce is equally good too. Otak Otak was created using Chef Bob's secret family recipe, using over 20 ingredients! Instead of using the usual banana leaf to wrap all up and grill, Chef Bob used a ceramic bowl and steam it instead. Indeed a healthier choice. Ayam Buah Keluak ($18), a meal is not complete without this dish. 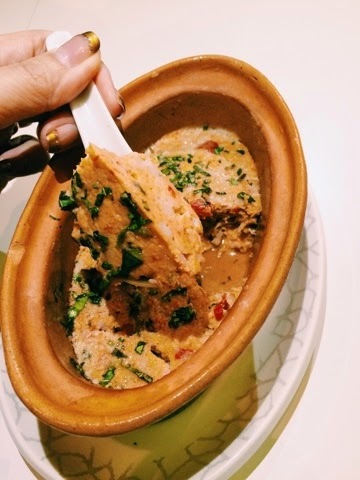 A dish of braised chicken in a gravy of turmeric, lemongrass and the Buah Keluak (Indonesian Black Nut). The rempah (pounded spices) alone is made up of seven ingredients and takes half a day to fry. Nuts to be cleaned and stuffed. The stuffed nuts, chicken and rempah have to be simmered for another half a day until the sauce thickens. 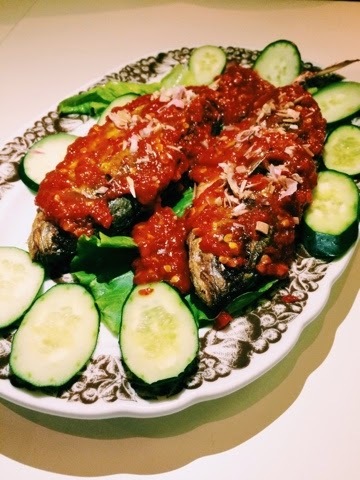 Sambal Fish ($16) used fresh Selar fish, stuffed with rempah and fried to crispiness. The chilli would hit you right away once you eat it. I was in love immediately. Wish they will bottle the chilli and sell off the retail soon. 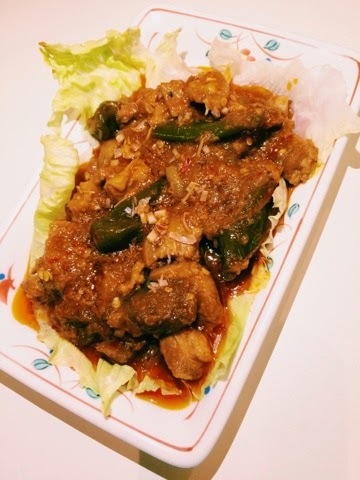 Babi Assam ($16). House of Peranakan Petit is properly the only Nonya restaurant that serves this rare and unique dish of belly pork flavoured with belimbing (sour fruit), beanpaste and traditional spices. Even Brett McGregor, the inaugural winner of New Zealand MasterChef came to Singapore to learn this dish from Chef Bob. 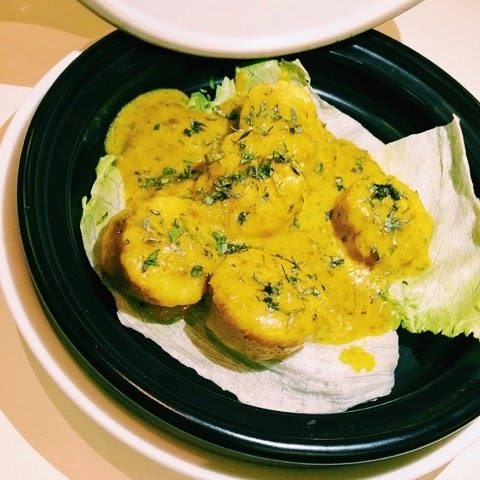 Scallop Lemak ($28) A dish available exclusively at the Tiong Bahru outlet. Succulent Japanese Scallops, they were so huge right? Cooked with their specially concocted Lemak Sauce. Simply a match in heaven. Worth every cent of it. The meal was definitely incomplete without the finest grade of white rice. There is always room for dessert, even after a full meal. 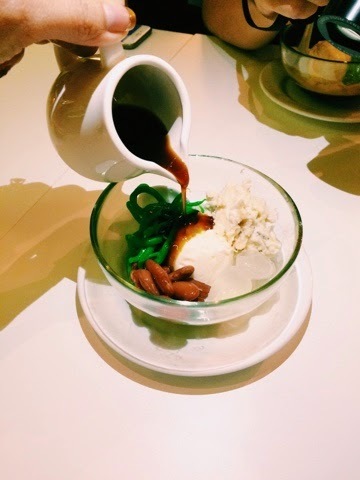 Durian Chendol ($8.50) Durian ice-cream with Chendol (green jelly) and Gula Melaka drips. Sedaps! 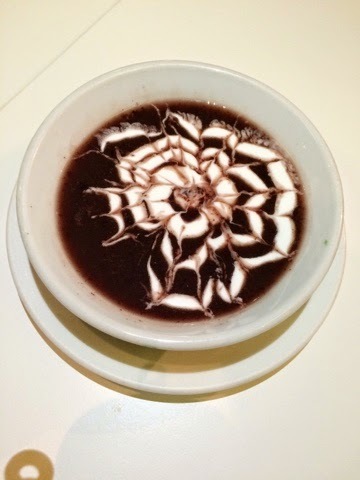 Pulut Hitam ($4.50) Awesome art done using the coconut milk. Such creativity. Ubi Kayu ($4.00) Tasted a bit like odeh odeh. Skin was tender, not chewy. Fillings were not so sweet. Show this page and quote promo code "PETIT BAGUS" to get 10% off dine-in food bill. Not valid on public holidays and eve of public holidays. 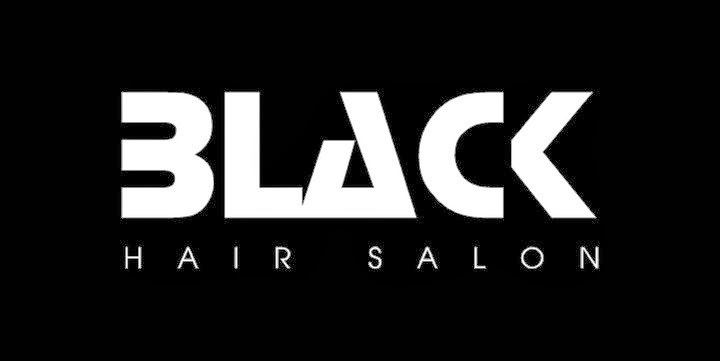 Valid till 30 April 2015.